Introducing the AFI-S, the exciting new alternative to bottled water and soft drinks. 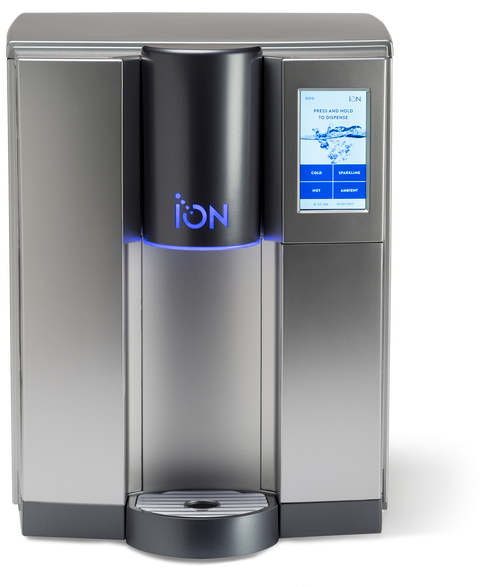 Pure water refreshment at the touch of a button. Quench your thirst with a variety of healthy beverages—icy cold still water, piping hot water to warm you on cold days, or the bubbly effervescence of sparkling water. AquaStand quickly converts the AFI-S from a counter-top to a stand-alone appliance, easily adapting to a multitude of spaces. With simple access to an electrical outlet and water line, AquaStand gives you the freedom and convenience to enjoy pure refreshment when and wherever you want. Easy to install and ADA compliant, AquaStand makes storage a snap. With five cubic feet of interior storage space, AquaStand can hold everything from extra cups, CO2 Tanks, and filters, to office and kitchen supplies.